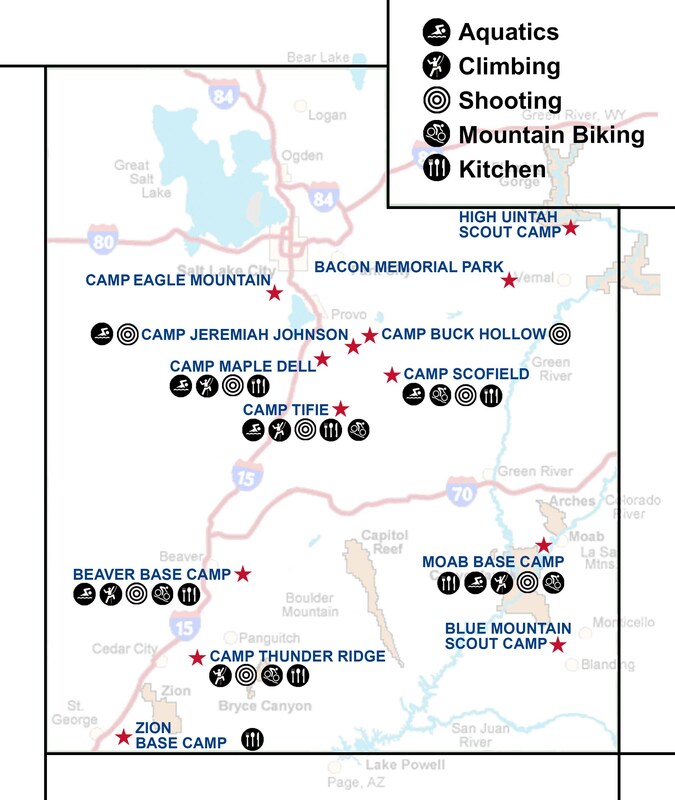 BYU Adventure for Youth (AFY) Coming to Moab Base Camp! This summer, BYU's Adventure for Youth (AFY) program will be coming to our very own Moab Base Camp! Participate in breathtaking recreational activities and build your testimony all in one place. Click the title above to learn more and to register. Did you know that Maple Dell Scout Camp, Tifie Scout Camp, Thunder Ridge Scout Camp, and Scofield Scout Camp 2019 registration is open? This will be your last chance to go to summer camp with your ward unit! Spots fill quickly, so hurry fast! Did you know that you can take your eleven-year-olds on an overnighter at most of our camps and not just at Buck Hollow Scout Camp? Contact the Camp Director of the camp you want to attend for more information. Camp is only a few more weeks out. Do you know where you're going to for Scout camp yet? Have your Scouts take the following quiz to see what Utah National Parks Council camp jives with their likes and personality.